Social media opens up doors for marketing opportunities. As a marketing professional, you need to understand how to take advantage of those opportunities. If your social media pages are not performing well, your brand is not generating the revenue it could. Your marketing tactics can improve tremendously through social media monitor tools. Marketing teams use them to increase following and engagement. In this post, you will learn how to social media monitor to maximize ROI. Share of voice is a social media monitoring tool that provides insight into how well your social media pages are performing. It compares your performance with your competitors. By tracking your share of voice, you are recording how many users tag your brand versus how many tag others in your industry. With this data, you can understand where your social media marketing needs improvement. Consider the strategies your more successful competitors use. Enhance your advertising techniques through the information you receive from tracking your share of voice. As a result, you can maximize ROI. You can also maximize return on investment through analyzing each individual post. Do so across every social media channel you market on. Then, you can determine whether certain advertisements perform better on different platforms. After all, your Twitter audience may be slightly different than your Facebook audience. 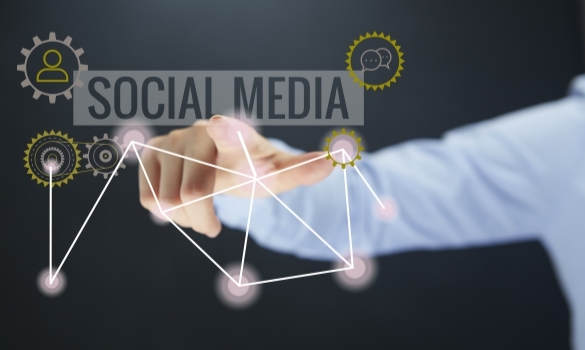 You may not have to change your entire social media content curation or marketing strategy. Instead, one platform alone may be struggling. Your team can modify just one platform’s techniques rather than all of them. Discover this through analyzing individual social media posts. Only then will you efficiently social media monitor your brand. Many marketing professionals like yourself use social media monitoring tools. While they can be useful, they can still be time-consuming and pricey. You have other social media marketing duties to perform that revolve around engagement. You also have campaigning to do that requires funding. Save yourself beneficial time and money by finding a tool that allows you to reply directly to consumers through it. Search for a social media monitor tool with this ability so you can save your marketing team time to develop new techniques and increase ROI. Another way to social media monitor to increase ROI is to document successful hashtags. On social media platforms, hashtags are like keywords in site content. They attract potential customers and boost your ranking. Hence, they are crucial to increasing return on investment. Keep track of the hashtags that got you the most views to increase your social influence. Test out various ones and take into account the hashtags your consumers are using. If you can produce higher quality content while using the same hashtags, you are more likely to gain customers. Record popular hashtags when you social media monitor to reach more viewers. Finally, measure the impact your discussions have on social media platforms. Your marketing team puts time and effort into replying to comments on Instagram and answering questions on Facebook. Ensure that everyone’s time and effort is not being wasted by recording how much they impact your consumers. Find a social media monitor tool that shows how many consumers leave conversations and visit your site. If the number is low, you know that you need to improve your social media discussion technique. Once you have done so, you can increase website traffic. Marketing professionals like yourself social media monitor to increase their marketing ROI. To do so, you need to compare your efforts and those of your competitors by tracking share of voice. Analyze your individual posts across multiple channels. Invest in social media monitoring tools that offer the ability to reply directly to consumers through marketing automation. Record successful hashtags to attract more consumers and improve your ranking. Additionally, measure discussion impact to drive more traffic to your site. Now, you can social media monitor to maximize ROI.